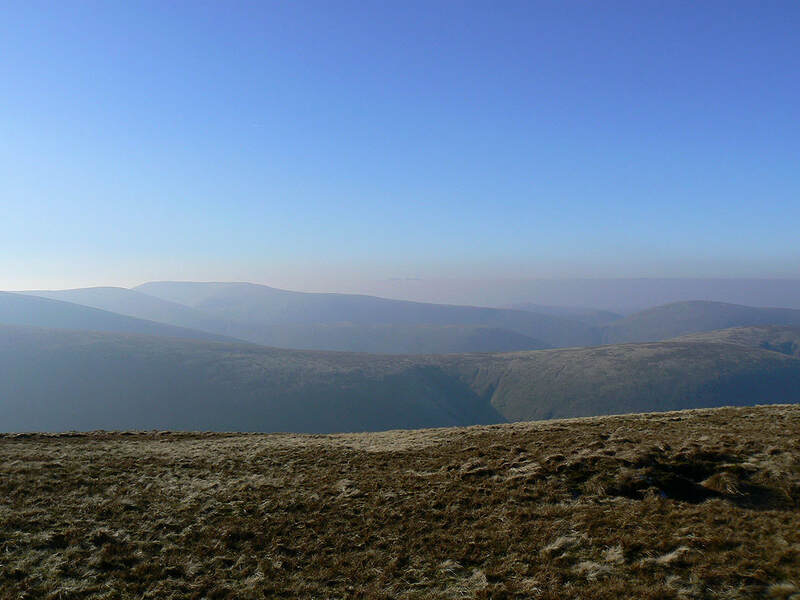 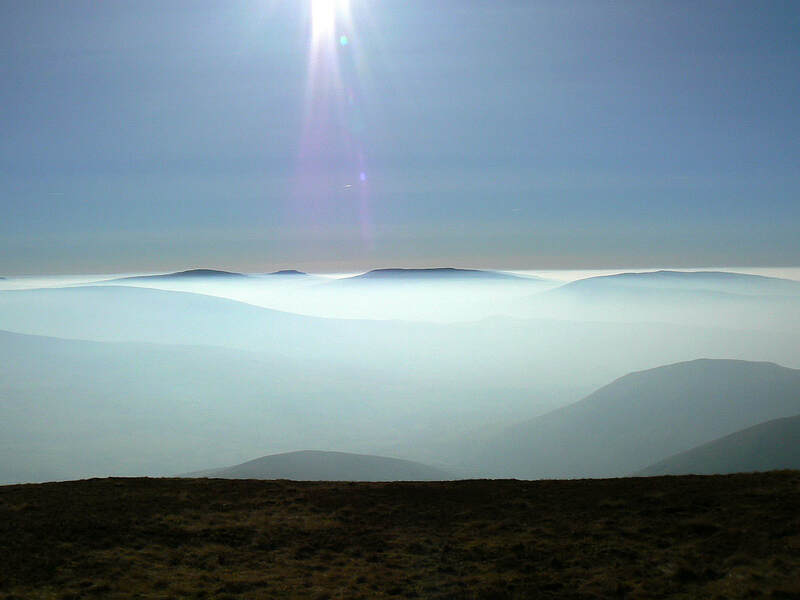 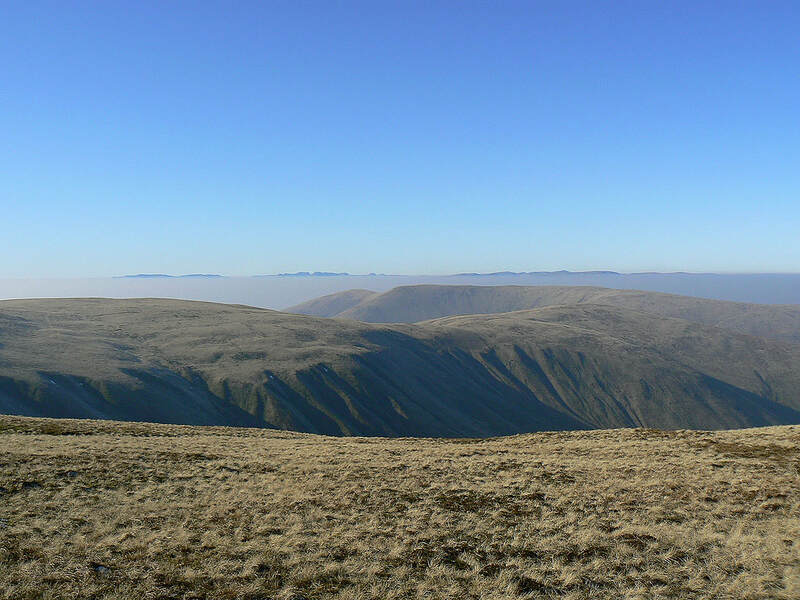 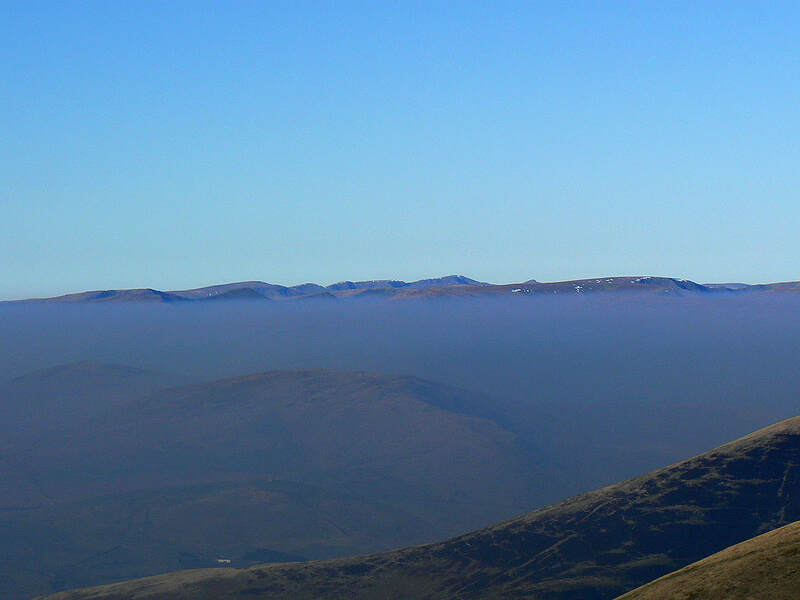 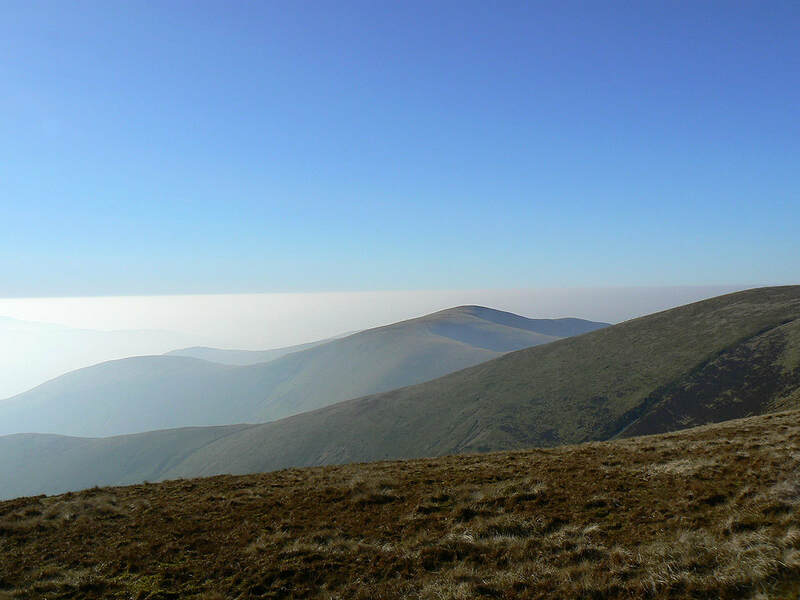 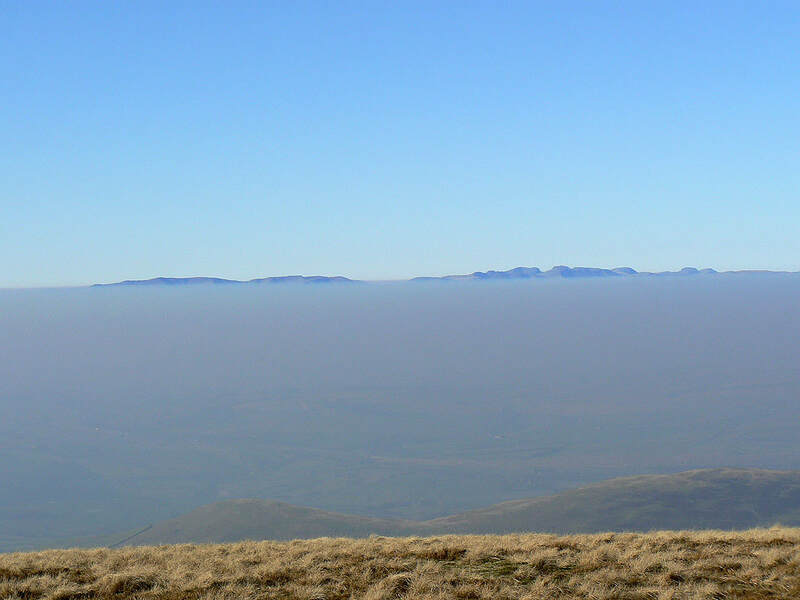 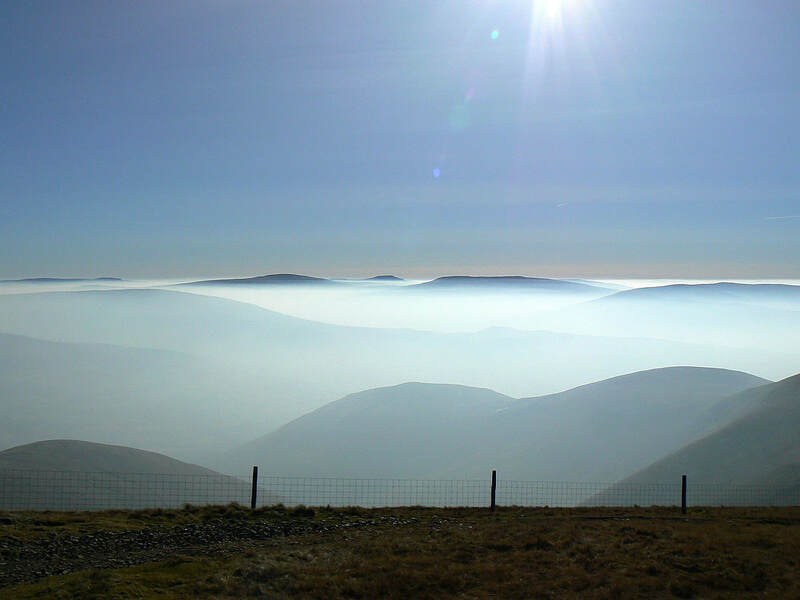 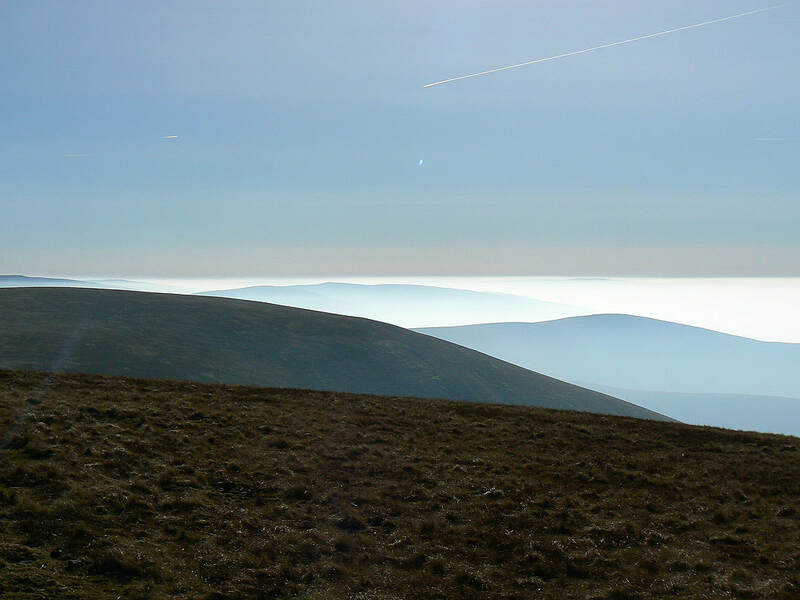 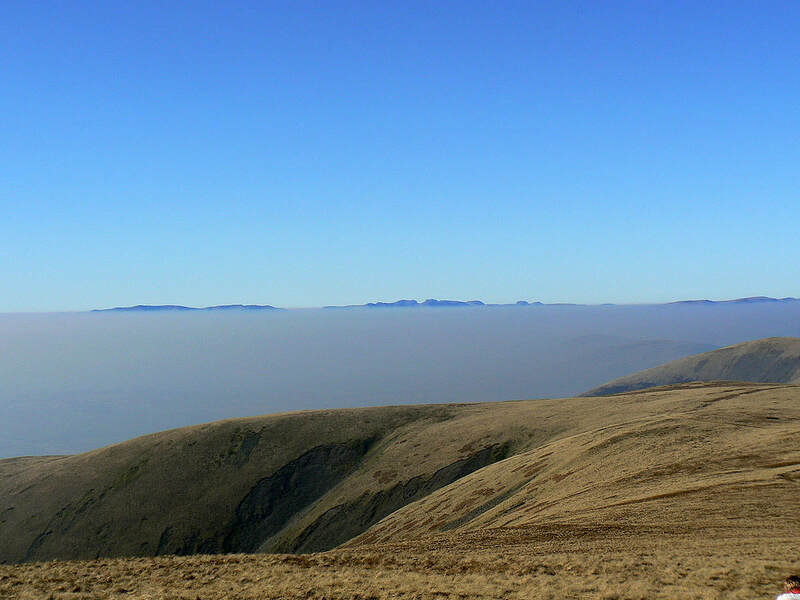 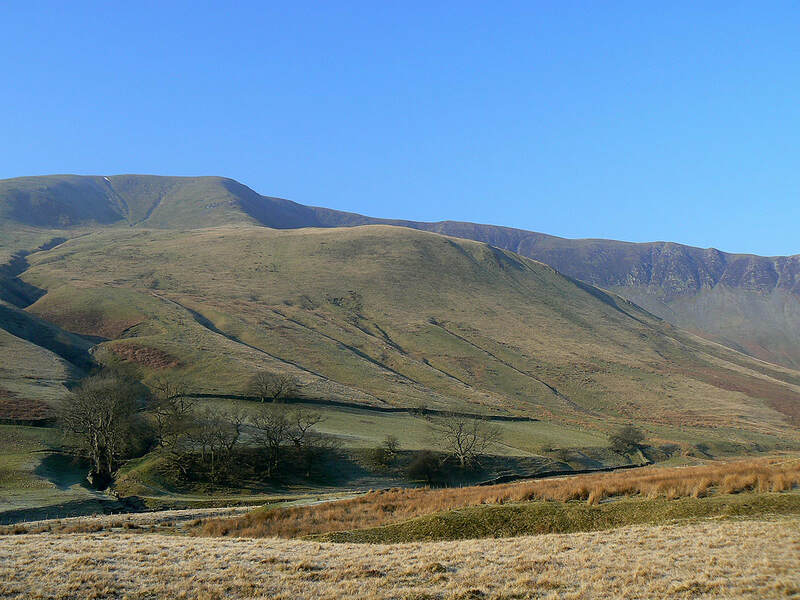 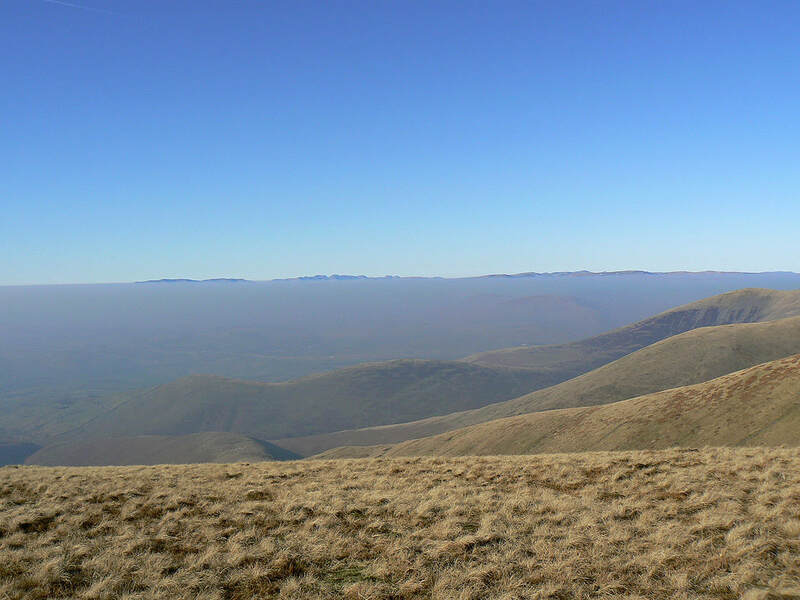 A great day in the Howgills with a temperature inversion. 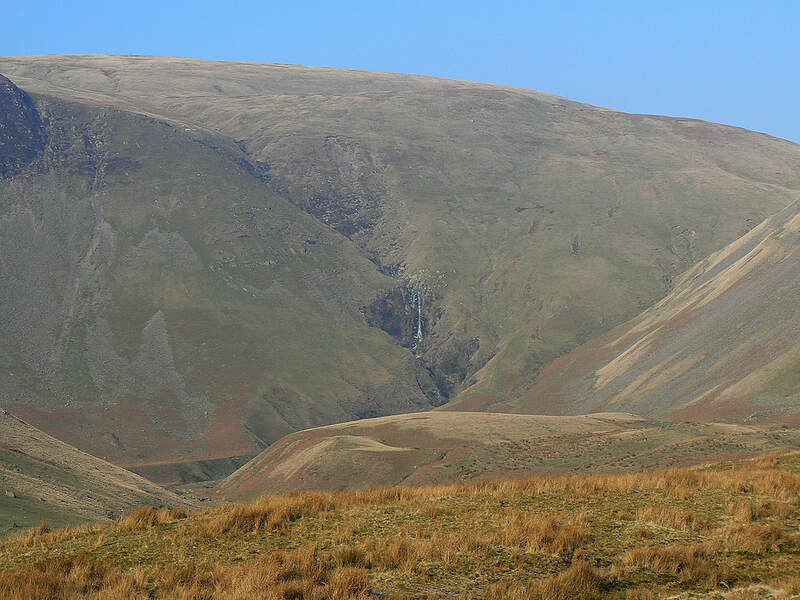 From the roadside at the Cross Keys inn I crossed the River Rawthey to head for Cautley Spout. 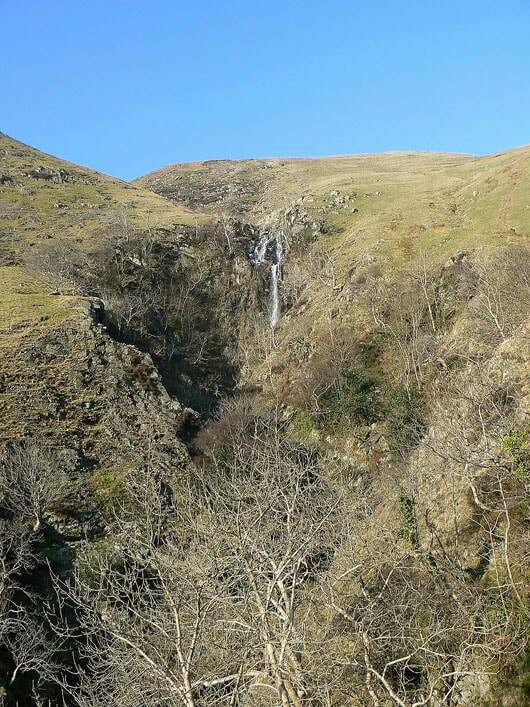 I climbed up the path by the waterfall and then along the top of Cautley Crag to the summit of Great Dummacks. 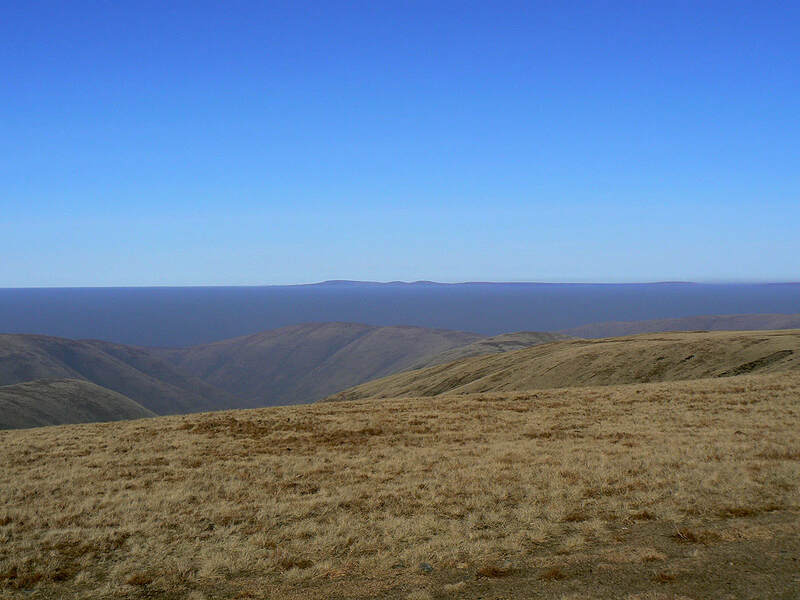 Next stop was Calders and then The Calf. 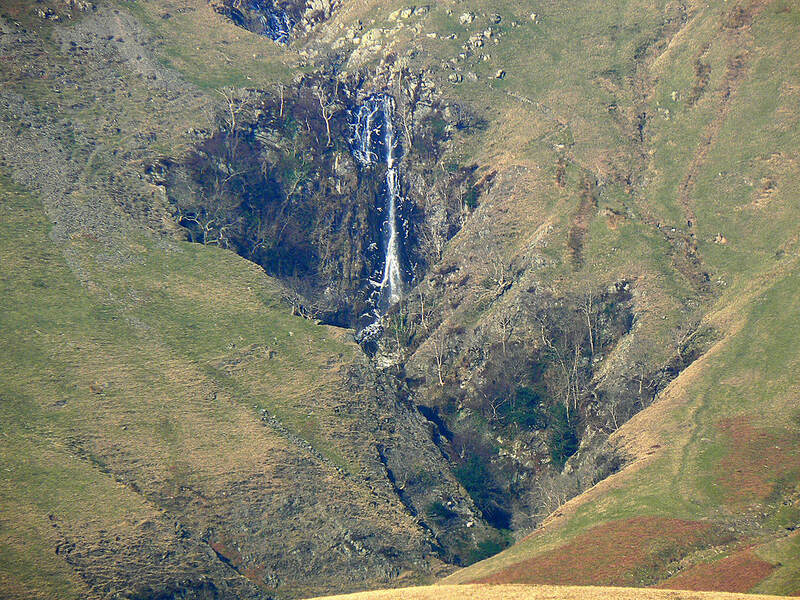 I then left The Calf by the path for Bowderdale to arrive at Bowderdale Head. 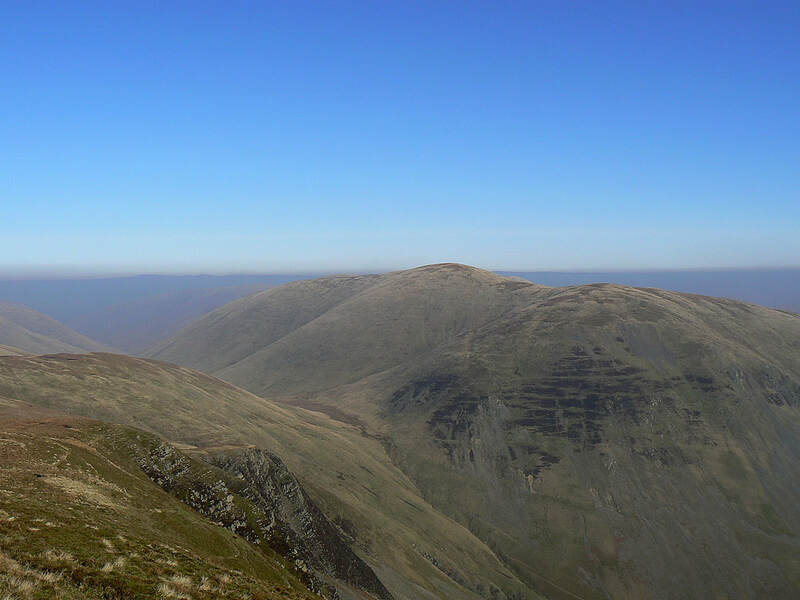 I made an ascent of Yarlside and then I returned to the Cross Keys inn by Yarlside's south-east ridge. 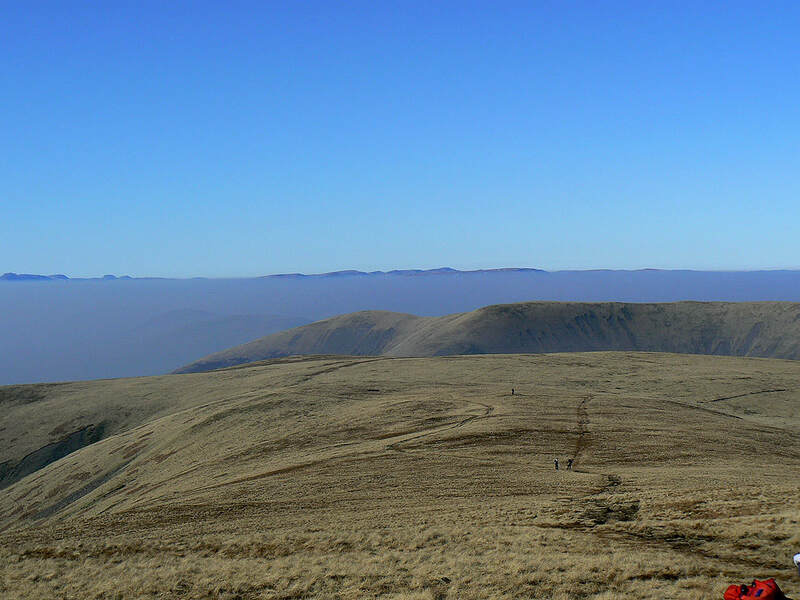 At the top of the climb and on the edge of Cautley Crag. 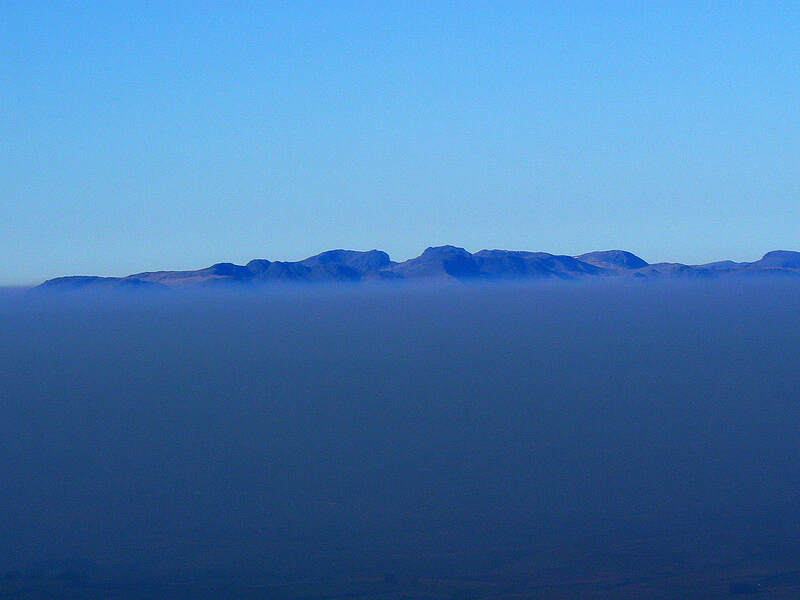 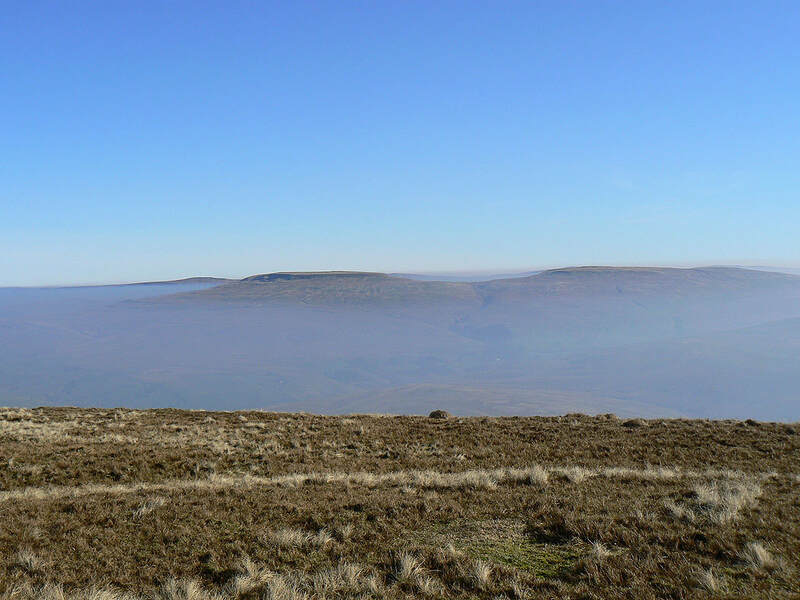 I'm above the mist and haze, the tops of Wild Boar Fell and Swarth Fell are as well. 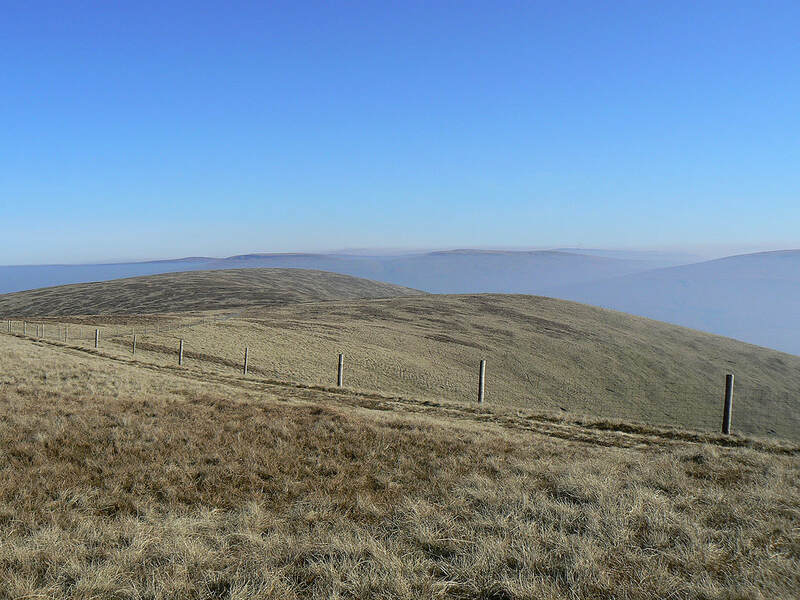 and the same summits but from the high point of the walk, The Calf. 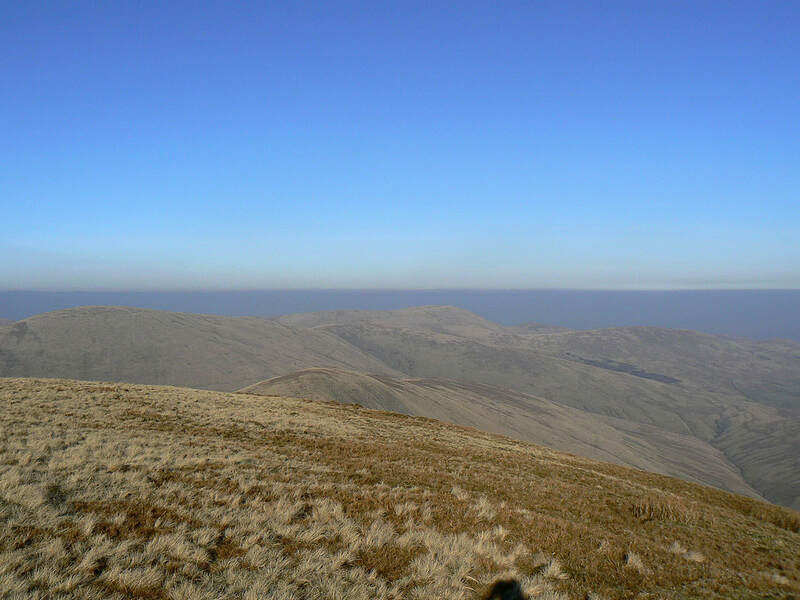 There wasn't a breath of wind and it felt warm enough to be in just a T-shirt. 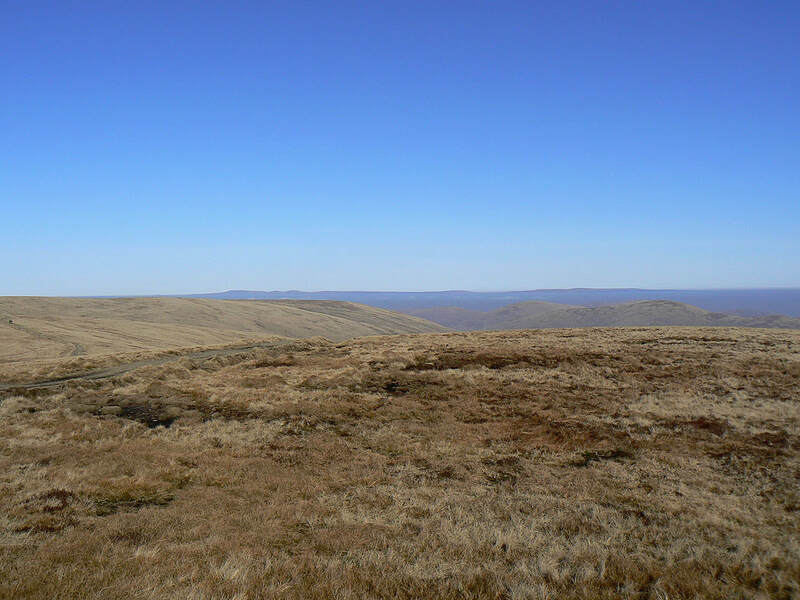 I've left The Calf and I'm heading Bowderdale Head. 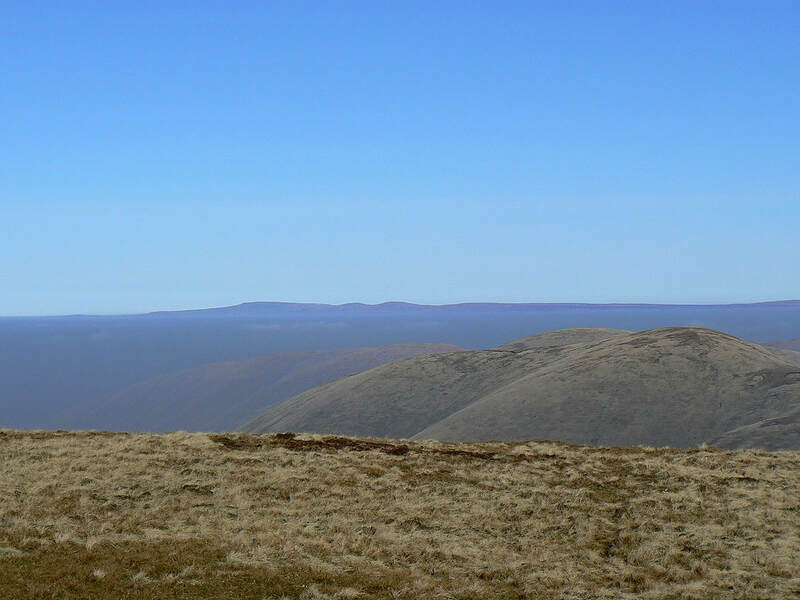 Lakeland fells on the horizon beyond White Fell Head and Fell Head. 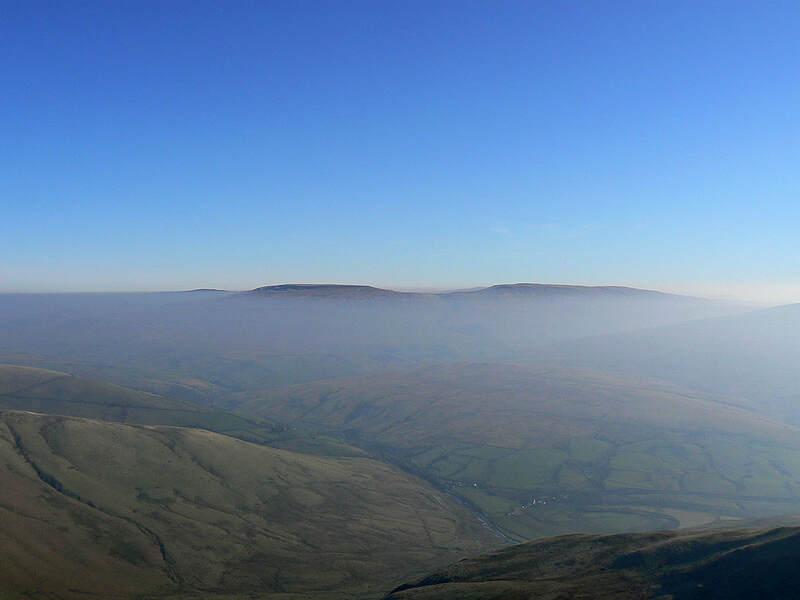 On the final top of the day, Yarlside. 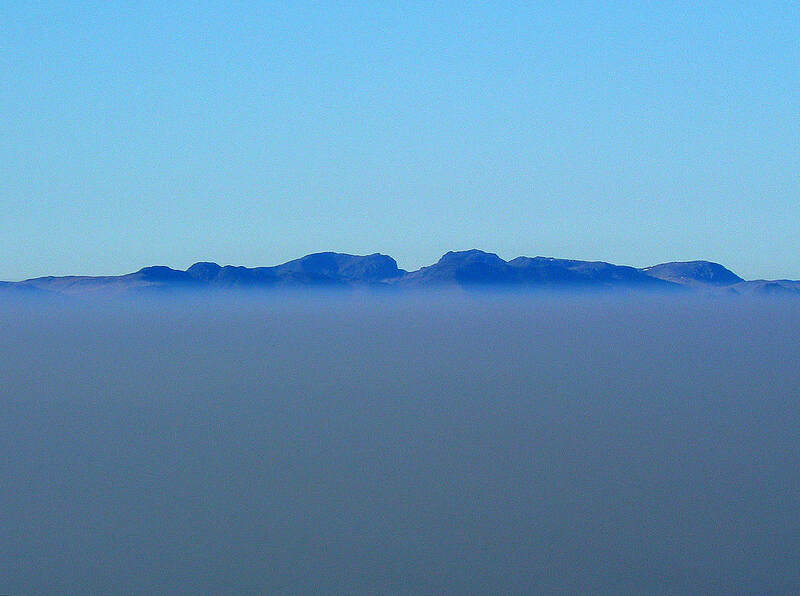 It's at the top of the haze. 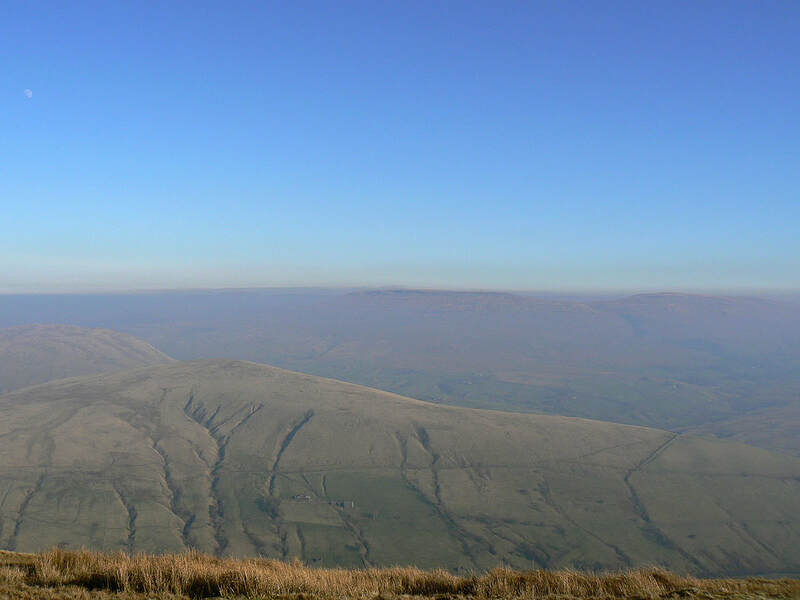 Wandale Hill is below.